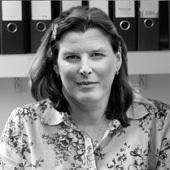 Claire joined Churchill Hui in 1999, became Practice Manager in 2006, a Partner in 2007 and Operations Director in 2017. She is responsible for all day-to-day management functions of the practice including facilities management, payroll, finance, HR, bid writing and has increasingly become involved in pre-contract matters and maintaining contract administration processes in line with relevant case law. Claire leads on the training for all contractual matters. Claire is also responsible for the update and integration of processes, taking overall responsibility for continuing certification of Churchill Hui’s ISO accreditations for both ISO 9001 (Quality Assurance) and ISO 14001 (Environmental Management). Claire’s speciality is corporate governance. Following completion of an Open University Law Degree with first class honours in 2007, she completed a Masters Degree in Corporate Governance at London South Bank University in 2013, passing with a Distinction and being awarded the ICSA Best Student 2012/13 award. Claire’s dissertation for the Masters Award explored ‘Gender Diversity in Housing Association Boards: Does the glass ceiling exist and if so have women broken through it?’. Outside of work, Claire spends most weekends volunteering for parkrun UK. She is a co-Event Director for Bedfont Lakes parkrun, and enjoys her non-running role overseeing a core team of volunteers and taking responsibility for the weekly event in terms of compliance, brand values and health and safety. Nurturing a community of walkers, runners and volunteers, Claire is also a Run Director at Laleham junior parkrun for 4- to 14-year-olds and has trained volunteers undertaking key roles. Previously Claire has volunteered as Trustee and Charity Secretary of The Environment Trust for Richmond upon Thames, with board level involvement in the Natural, Historic and Active Environment in Richmond and neighbouring boroughs.